Plums flowering early this year? 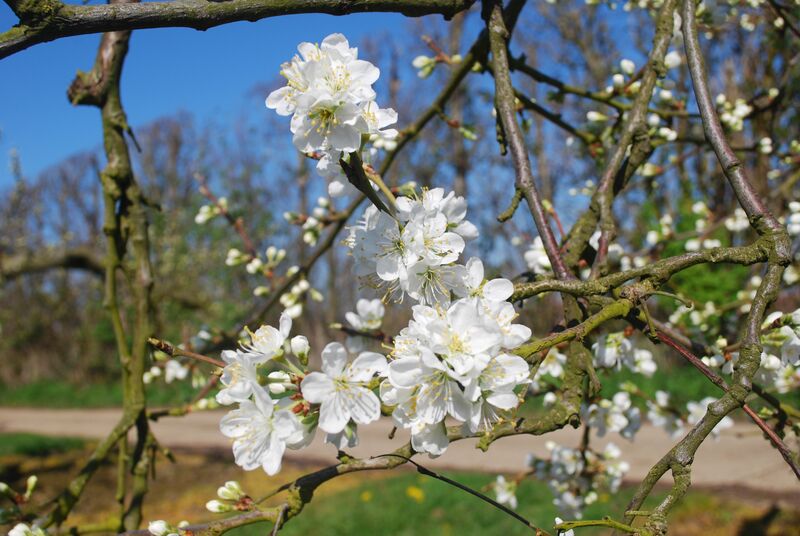 My standard Victoria plum has flowered first this year and is in full flower today the 28th March a whole month earlier than last year! I live in the Vale of Clwyd, Denbighshire, north east Wales. The Opal, Jubileum, Denbigh plum and Ontario are all close to opening, Marjorie’s Seedling is about a fortnight off flowering. This year Prunus mume ‘Benchidori’ is in full flower now, at the beginning of January in Kent. There were even sprigs in flower for me to bring inside for a Christmas Day posy! This is extraordinary early: in 2011, for example, it came into blossom in about mid-March. Prunus mume is a small tree, rather tender in the UK as it flowers so early and planted as an ornamental rather than fruiting tree. Its flowers are exquisite and in this variety deep pink and intensely scented. That it has flowered so early is proof indeed that we have had an exceptionally mild winter. If any proof was needed with primroses and winter Cyclamen coum in flower. 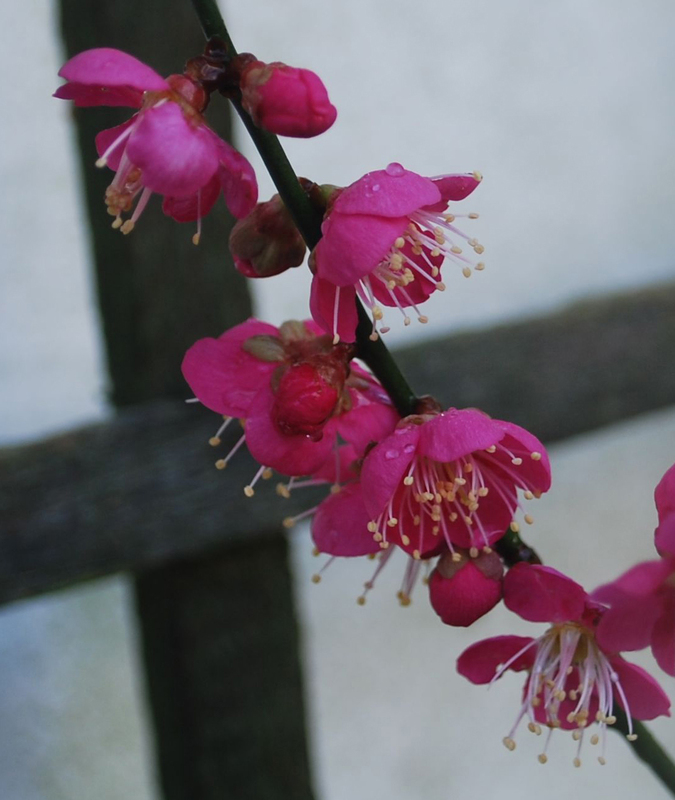 Do any of our readers have Prunus mume in flower, or other examples of such early growth? Hundreds of cultivated varieties of Prunus mume exist in its homeland in the Far East. It is the ‘plum’ blossom of Chinese paintings and cultivated in China and Japan for centuries, where it serves as the harbinger of spring often flowering when snow is still on the ground. Prunus mume is grown for its fruit, as well as blossom, and these are an important ingredient in Chinese and Japanese cuisine – made into a sauce, an alcoholic drink and pickled, as ‘umeboshi plums’ in Japan. For a little more about ‘Prunus mume – the first fruit blossom of the year’, see this past post. Can anyone give us more information on Prunus mume and how it is grown in China and Japan or anywhere else that it may be cultivated?